Are you looking for a swimming pool builder to help create your backyard oasis? Penguin Pool construction process is efficient and keeps the customer's backyard design in mind. A simple call to Penguin Pools is all it takes to get started on the road to a lifetime of relaxation and outdoor entertainment. We’re the premier source for outdoor fun, and can provide a custom-designed solution that’s perfect for your needs. 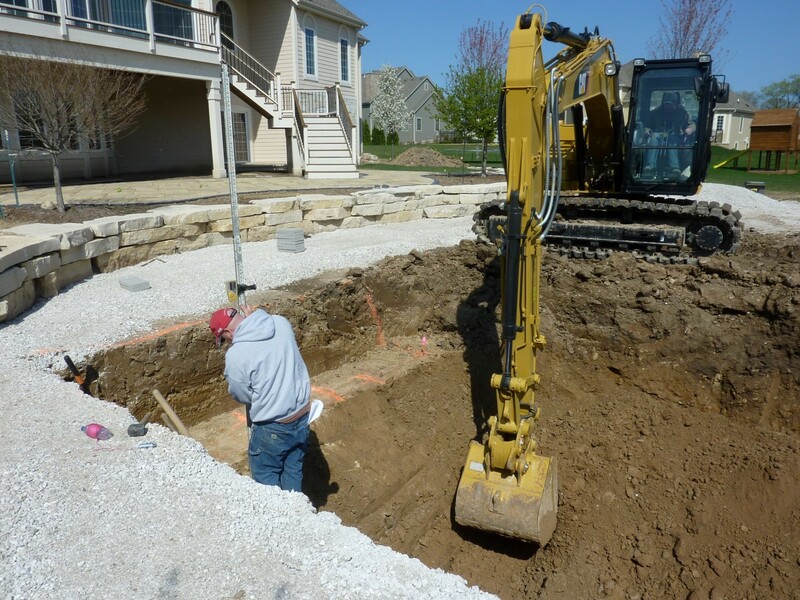 With decades of swimming pool construction in Waukesha County and Milwaukee County, we know how to install inground pools efficiently and quickly. 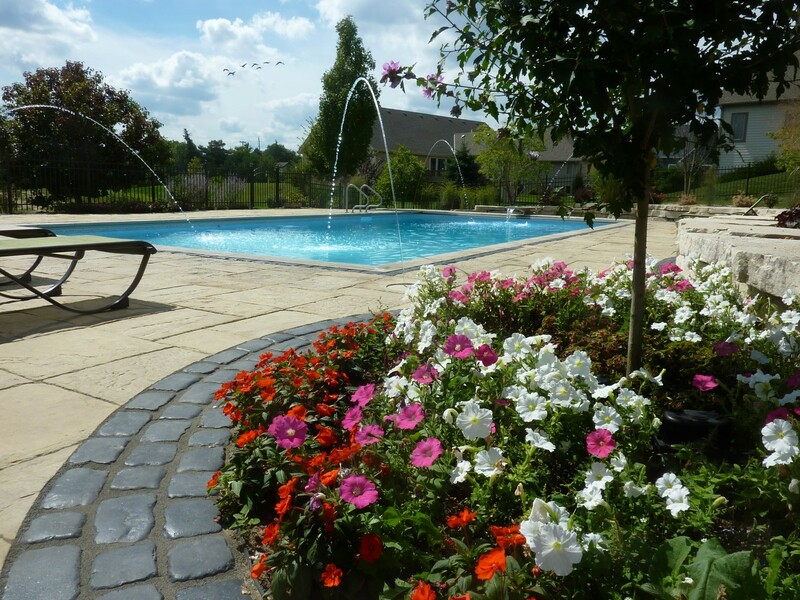 While a majority of pool construction companies simply sell pools, Penguin Pools brings years of expertise in design and installation of outdoor swimming areas. When you choose to work with our expert team, we give you the peace of mind that lies in knowing you have installation experience on your side, rather than simply sales experience. 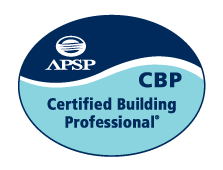 For us it’s not enough just tell you we’re experts in swimming pool construction, we’d like to show you. Step-by-Step. We want to show you the exact process for each of the three inground swimming pools we build. After years of pool construction, we’ve gotten a lot of questions from clients. Most of those questions are around the mess we have to make in the backyard. Just how big a mess is this going to make? Nobody – and we truly mean nobody – who puts in an inground swimming pool is ever prepared for the reality of the construction process. We won’t sugar coat it. It’s going to make a big mess, and you’ll be pretty shocked when you notice the size of the hole in your backyard. If any contractor assures you that this will not happen, or there’s a way around this part of the process, there’s a good chance you’ll be in for many more unpleasant surprises as the work continues. It’s important to remain calm, and remember that the end result is a fabulous slice of heaven. Try to look past the mess, and visualize the glint of bright sunshine on sparkling water while you and your family choose up sides for a friendly game of water polo. It won’t make the mess go away, but it’ll make it a lot more bearable. And how long do I have to look at this mess? You’ll only need to live with the mess for about 4 – 5 weeks, on average, which is remarkably fast when you consider it often takes over eight weeks to build a concrete pool. Of course, bad weather and other unavoidable events can hinder the process a bit, but it really does move along more quickly than you might think. Just breathe, and keep in mind that all the disruptions are temporary, and will be well worth it in the end. If you’re ready for a Waukesha pool builder to help you enhance the beauty and value of your property, it’s time to call the experts at Penguin Pools. No matter the size or style of pool you desire, we’ll help you craft something stunning that will bring endless hours of joy and relaxation to the entire family, in addition to your life that’s truly priceless. Call today, so we can start your pool construction process and get you ready for summer!